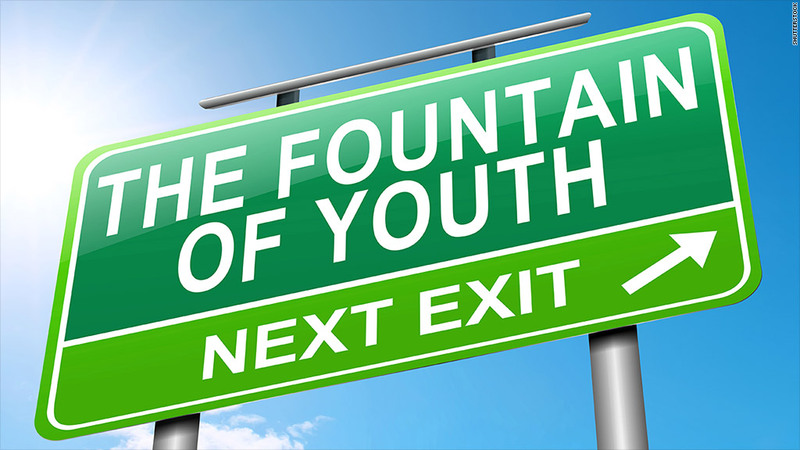 Can enough money buy you eternal youth? A bath in donkey's milk, the blood of children, tortoise scrotum soup -- the list of anti-aging treatments goes back centuries. It turns out, the best kind of anti-aging treatment is inside one's own body, and the rich are taking advantage of it, exploring the latest research in new technologies, genome mapping and stem cell treatments. Among them is Oracle billionaire Larry Ellison, a large investor of the Ellison Medical Foundation, which supports research exploring the biology that underlies aging and age-related diseases. And there's billionaire Peter Nygård, who says he wants to live forever (or die trying), and has suggested he's found the keys to immortality in stem cell research. Some doctors agree that stem cells are a key part of chasing youth. "If you're a wealthy guy and haven't stored your stem cells, I think you're a total idiot," said Dr. Lionel Bissoon, a New York City physician who sees a number of stressed out, wealthy patients. They usually come to him with similar problems: "Fatigue, belly fat, erectile dysfunction, tiring very quickly ... all very common with my patients from Wall Street," Bissoon said. The short-term solution to those ailments, he says, is testosterone replacement -- which is relatively affordable at a few hundred dollars a pop -- and IV nutrition. For the long term he recommends stem cell storage, which works as a sort of rainy day insurance. The cells are extracted, preferably when the patient is on the younger side -- around 30 is said to be a good age -- and can then be used to boost an immune system or help to rebuild damaged organs later. Dr. Dipnarine Maharaj stores cells at his South Florida Bone Marrow Stem Cell Transplant Institute in Boynton Beach, Fla.
"People are looking and finding ways to be able to help them to live longer to spend the money they've earned," he said. "They spend their retirement going doctor to doctor, and if we can find ways to prevent that it would be good." His clinic sees executives under a lot of stress, a fast way to damage any immune system. He agrees that it's important to store cells before they become irreparably damaged. To collect and store stem cells at his clinic costs $15,000 for the initial extraction, which includes a year of storage. After that, storage costs $50 per month. Stem cells aren't the only high-end solution. Earlier this year, Malaysian billionaire Tan Sri Lim Kok Thay reportedly became one of the initial financial backers of a new genomics and cell therapy technology company called Human Longevity, dedicated to tackling age-related diseases and expanding the human life span. Another company, Singapore-based Scéil, says it's the first to transform human cells into nearly any tissue type in the body. "This technology has the potential to reverse, or even cure diseases and repair damaged tissues of your body," the company told CNNMoney in an email. Scéil attempts to obtain "a complete backup" of your genome from a skin sample and stores it for future use. The program costs $60,000 plus storage fees of $5,000 for 10 years, or $25,000 for a lifetime. "The aging process can be manipulated," said Sonia Arrison, author of 100 Plus: How the Coming Age of Longevity Will Change Everything, From Careers and Relationships to Family and Faith. "We're just at the beginning. There really is going to be a revolution ... it's going to be possible and not crazy at all to have a human life expectancy of 150 years." She said that it's already possible to use 3D printers to construct organs, and that process will only get faster and more accessible. But all that advancement won't be available to all -- at least not at first. "Obviously the rich will get it first," she said, comparing 3D printed organ availability to cell phones, which were once cost prohibitive to the masses. Now, six billion of the world's seven billion people have one, according to a U.N. study. "It's how long is the timeline between the rich getting it and the poor getting it," she said. Dr. Anthony Atala, who runs the Wake Forest Institute for Regenerative Medicine in Winston-Salem, N.C., is committed to making sure those outside the 1% get fair access to such technologies, so that "printing" organs on demand becomes something everyone can do. "Part of the automation is making sure we lower the cost of these technologies," he said.